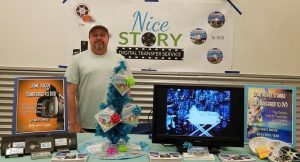 Nice Story Productions is a home based creative studio specializing in digital transfers of all formats of video tapes and HD Scanning of Regular 8mm & Super 8mm Home movies and slides. I have been providing quality digital transfer services since 2010. I provide digital transfers of Video Tapes and Home Movies in my home-based studio – no need to ship your precious memories to an outside lab. The color and audio levels of the films are also corrected and adjusted. Everything is done in house. Your family archives are safe and are professionally saved on a digital format. Visit my Services Page for more information about the services I provide. If you have any questions about the services, feel free to email me or contact me using the online form on the Contact Page.